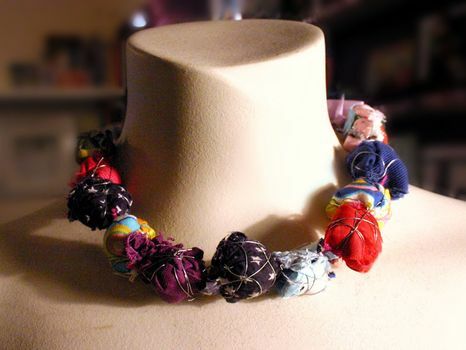 An easy fabric ball necklace, just fabric and wire. Learn how here. 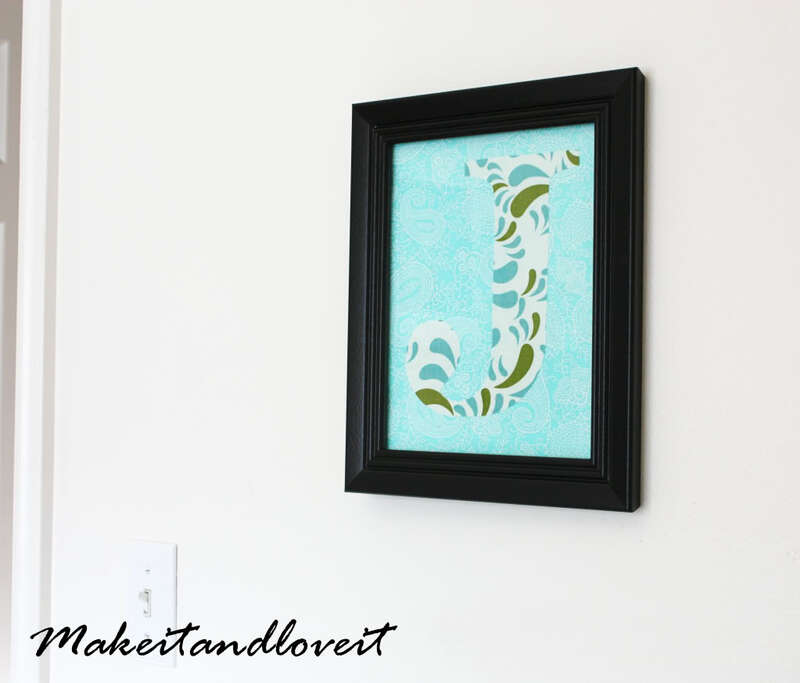 On Make It and Love It you will learn to make this framed initial which is perfect for a kid's room but for other rooms also, depending on the fabric's pattern and color. If you have tiny pieces of fabric and are ready to throw them away because you think they 're useless, don't until you read this tutorial about how you can decorate a plain pillow. 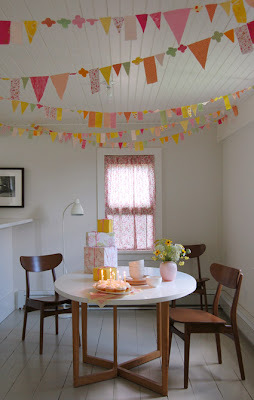 Little strips of fabric can become a pom pom, perfect as party decoration or as a permanent decorative item. Read the instructions here. 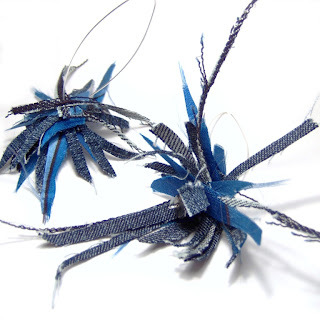 These yo-yos could make a pretty accent on your t-shirt, your hair or your purse. 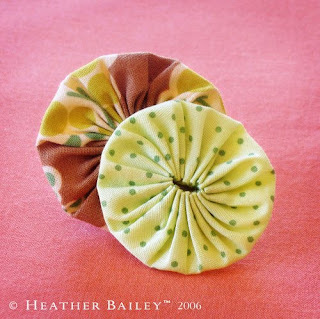 They are easy to make and Heather Bailey shows you how. This is a beautiful idea. 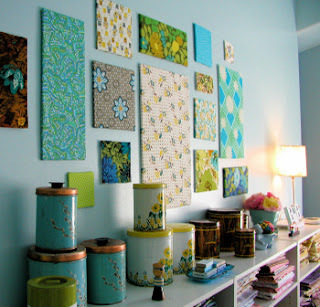 If you have larger fabric scraps you can make a gallery of fabric "works of art" to decorate your wall. 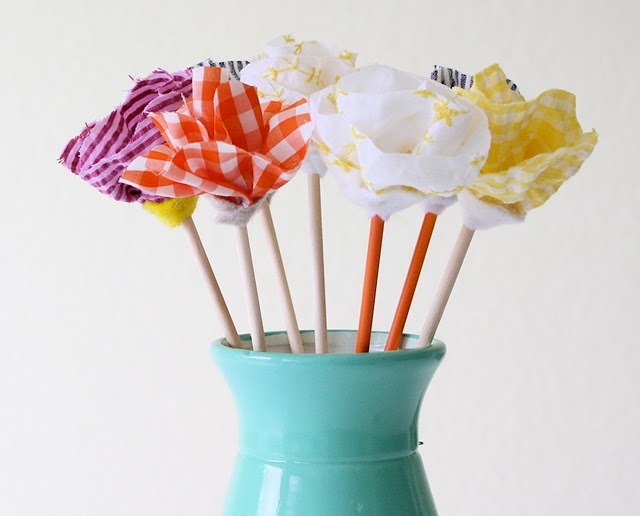 Read how you can make them on Bella Dia. On craftstylish I found these super easy and cute hair pins. 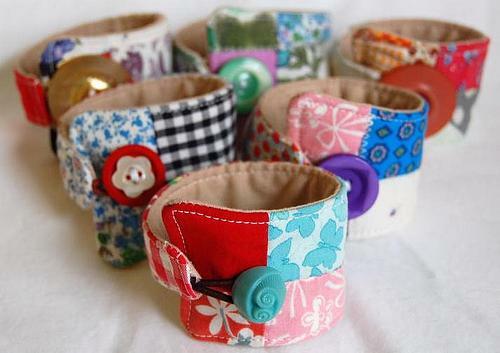 Aren't these fabric cuffs adorable? 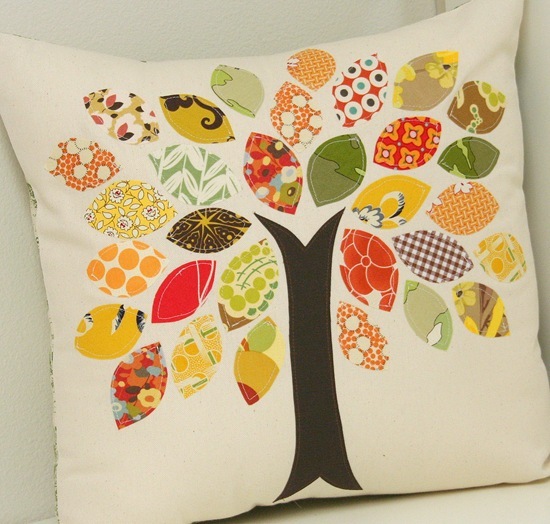 They require more advanced sewing skills but they are worth the effort. JCasa gives a free PDF to make them. Again a no-sew project: a bouquet of fabric flowers for the days you don't have fresh flower in your vase. 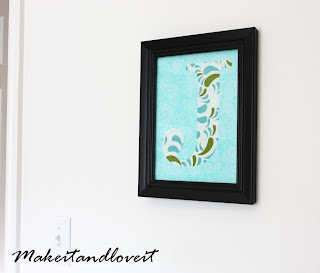 You will find the tutorial on Made. A bunting is the perfect decoration for parties. 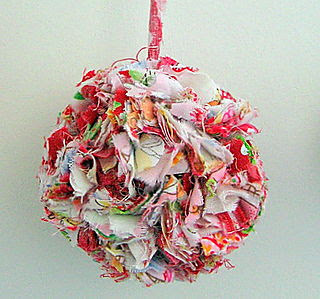 Here you will find Purl Bee's version. 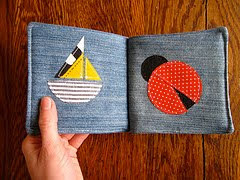 A soft book for babies. 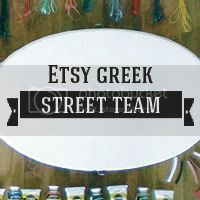 Visit Thimbly Things to find the tutorial. A very original pair of earrings made with silk and denim scraps by Tomates d' Epingles. 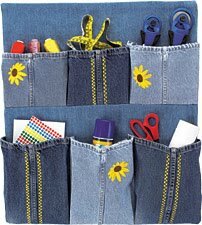 A way to get organized with style, found on All Free Crafts. 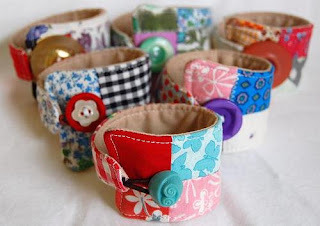 I hope this post gave you enough inspiration to try and make something of your own with your fabric scraps. 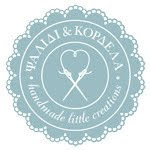 love your links, thanks for sharing! Lovely post! You are presenting so many great ideas. Thanks for the read! I would like to try one of these. I have lots of fabric and clothes I don't use anymore. This is such a fabulous post! 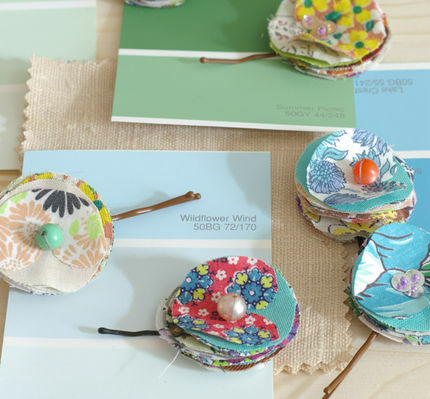 Such unique and creative ideas, and all are beautiful! Great links. I have already seen several things I would like to make. Thank you. thanks for the links, I made the fabric scrap hairclips!